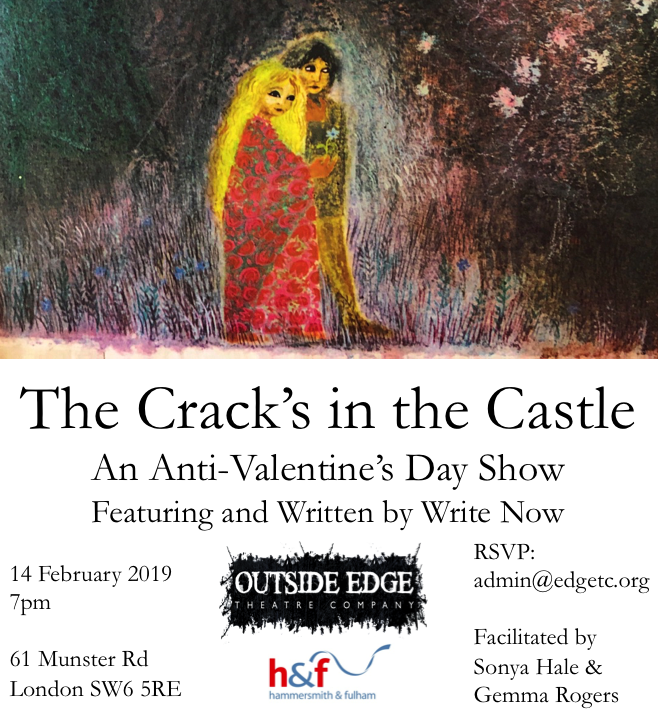 We are delighted to announce a new play from Outside Edge – The Crack’s in the Castle, the antidote to Valentine’s Day – loosely on the Brothers’ Grimm fairy tale Jorinda and Jorindel. ‘Write Now’ have been working on the piece since October. They’ve written their own dialogue for the characters and created a new, one of a kind play. Drawing from personal experience, they’ve put a modern twist on this classic story. Showing for one night only on the 14th of February at 7pm. Refreshments will be served! Email admin@edgetc.org to secure your free spot.